Description: Ruined stone castle stands tall against cloudless blue sky. 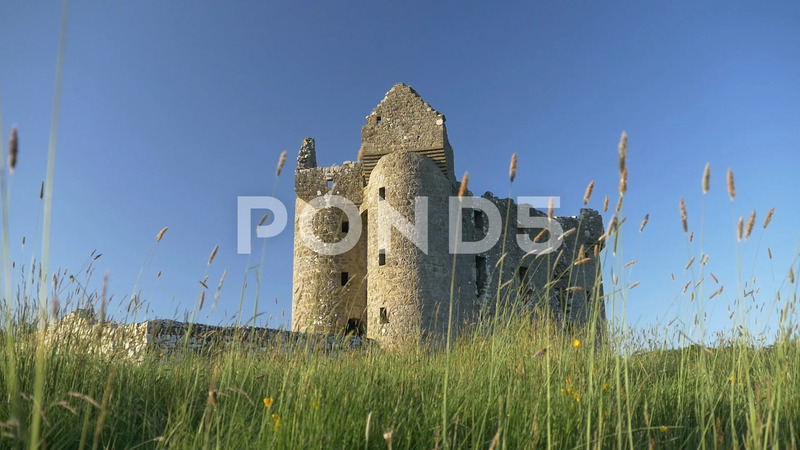 Meadow grass sways gently in foreground, with ancient castle behind. Tilt up to lockdown slow motion shot in ProRes 422.